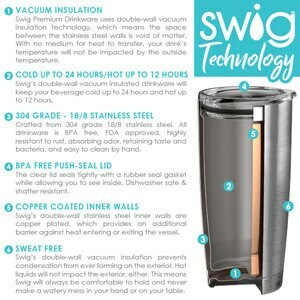 These new SWIG tumblers are perfect and adorable. 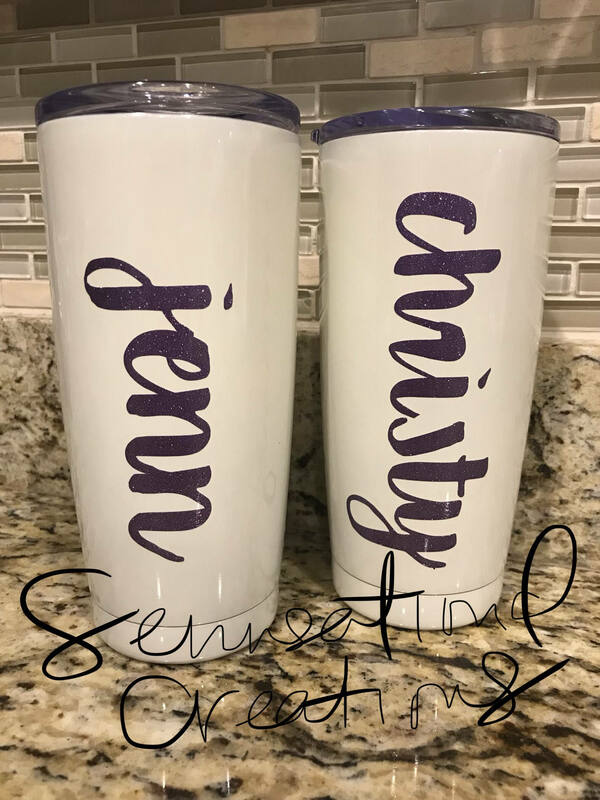 They are pearl white and you can choose your color monogram. 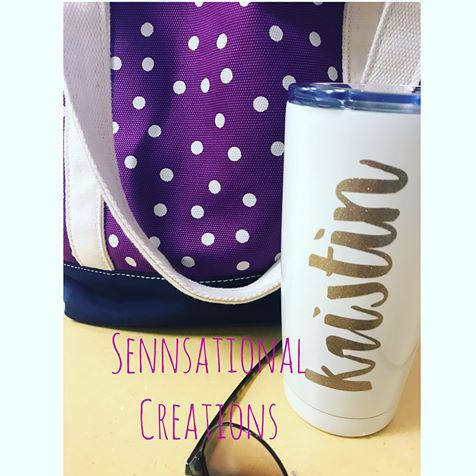 The cup shown has a gold glitter vinyl decal with the full name monogrammed. 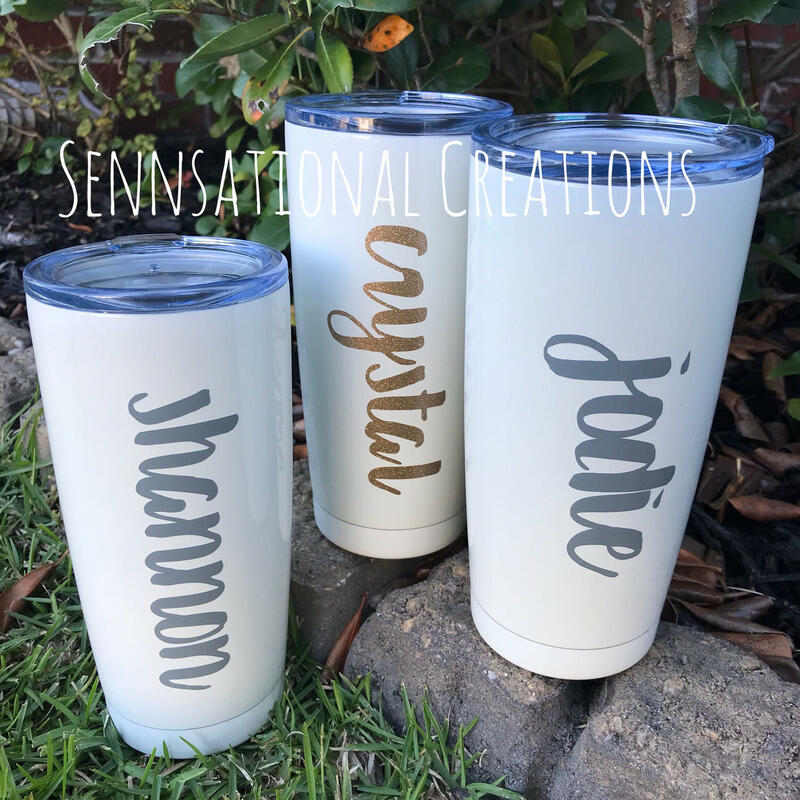 You can choose your name or monogram if preferred. 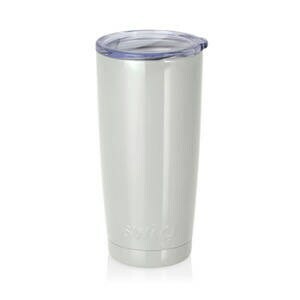 These tumblers are made of a 304 grade stainless steel, they have a vacuum seal technology built in, come with a BPA free lid and can keep drinks cold for up to 24 hours and warm for up to 12 hours. Order yours today to look professional and stylish! Please let me know if you have specific request... we can personalize to fit your needs.